I recently did a presentation at work for our Residents on the benefits of laughter. I am the first to admit that I am the goofiest, silliest person in my family and I thank my Daddy for that. Even in high school and places I've worked I can’t even tell you how many times I've been called the biggest goofball. No matter how awful my day can be, I will always find the humor side of it and laugh (even after a little cry). I truly believe laughing is the best medicine. Being the Silly Mami that I am, I always try to surround myself with laughter by watching funny movies, comedies and happy people. My daughter and I are always laughing and I seriously loose count every day at the times we laugh and she calls me "silly mami" - it's amazing. I am a Stroke Survivor so I appreciate every.single.moment in my life. 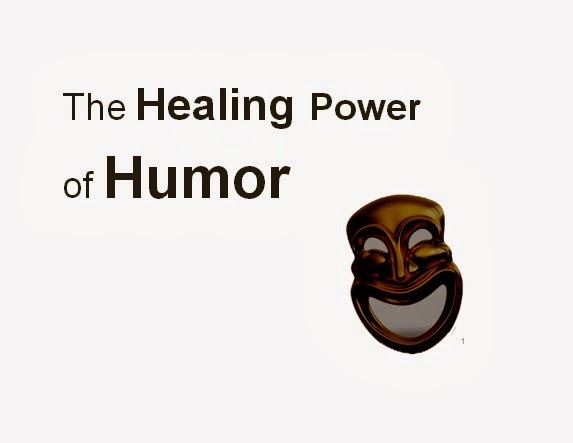 Have you realized the amazing benefits laughter can provide? Do you remember the times you've cried to a friend and she tried to cheer you up and made you laugh and how much better you felt. 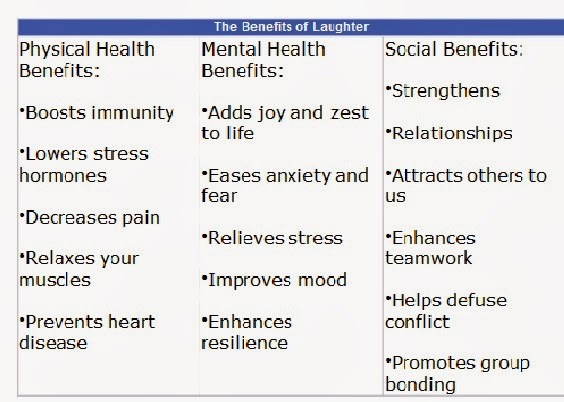 Check out the slide below on how laughter affects you physically, mentally and socially. Recently my Husband was suffering from Depression and I sent this presentation to him and it made him feel good. With laughter and the right treatment, he is doing well. 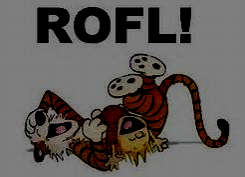 “A sense of humor sees the fun in everyday experiences. 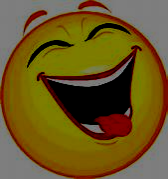 It is more important to have fun than it is to be funny." Tell me, how to you incorporate laughter into your day?